VGChartz‘s William D’Angelo reported that Blowfish Studios’ upcoming console release of sci-fi mech action game War Tech Fighters rockets toward Nintendo Switch, PlayStation 4, and Xbox One in Q2 2019. 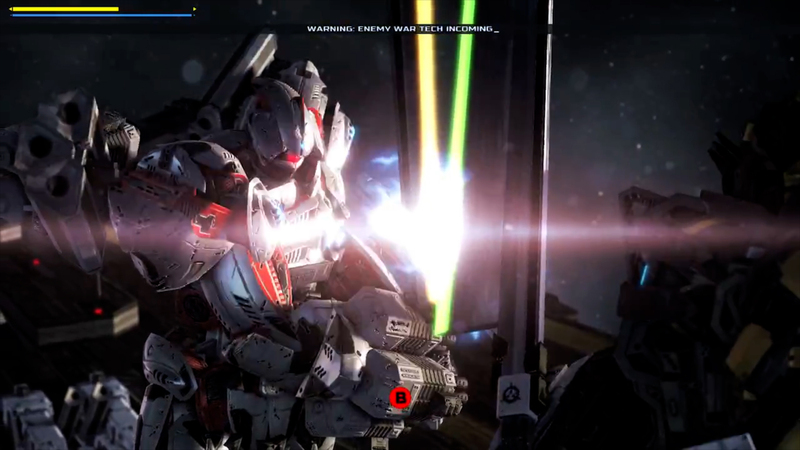 War Tech Fighters takes inspiration from both Japanese Anime and Hollywood blockbusters. Join the rebel colonies of Hebos and Ares to battle against the vicious Zatronian empire. Pilot giant mechs known as War Techs and fight for your homeland. Choose from over 180 upgradeable robot parts to customize everything from weapon styles to cosmetic options to make your War Tech your own. Battle across 33 missions from either Third or First-Person perspectives. Read VGChartz’s full article here. For more information on War Tech Fighters, visit War Tech Fighter’s website or follow the game on Twitter. It is currently available on Steam for $19.99 and will release on Nintendo Switch, PlayStation 4, and Xbox One in Q2 2019. This entry was tagged action, anime, blowfish studios, Drakkar, fps, Giant Mechs, Hollywood Blockbusters, indie, indie game, indie games, march game releases, Mechs, Microsoft, Nintendo, PlayStation 4, pr, PS4, Q2 2019, Sony, Stride PR, switch, video game pr agencies, video game pr agency, video games, videogames, War Tech Fighters, windows, xb1, Xbox, xbox one. Bookmark the permalink.